The genesis of the taxonomy was a 2012 workshop jointly hosted by Harvard University and the Wellcome Trust. Emilie Marcus, the Editor-in-Chief of Cell and CEO of Cell Press, was involved in subsequent discussions that led to the creation of the taxonomy. At the time the taxonomy was rolled out in the spring of 2015, the editorial team reached out and asked me to coordinate making contributor roles an option for authors. The idea has always been that this project is cross-organizational, cross-publisher—the CRediT team talked with funding bodies, publishers, authors, and others to carefully develop the taxonomy. When it came time to decide our approach to implementation, we were thinking, “Do we want to wait and see what others do? Do we want to require use of the taxonomy?” We opted for the middle ground: making the taxonomy a recommended option for authors and actively seeking their input along the way. At the outset, we decided to recommend the optional use of the CRediT taxonomy within the “Author Contributions” section of a manuscript. This section, which appears alongside the Acknowledgments, was itself optional in most cases. In other words, we had an optional taxonomy within an optional contributions section. 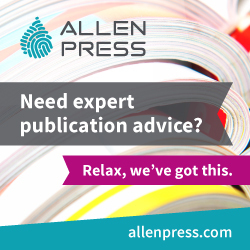 Beginning in May 2015, we let authors know about this option via several channels: online guidelines for authors, letters sent during the revision process, a post on the CrossTalk blog, and informal communications with authors. The first paper to use the taxonomy appeared in May, and uptake has steadily increased since then. In December 2015 we decided to require the inclusion of the Author Contributions section, which has come to be seen as an important complement to the author list and the Acknowledgments. Since then, the frequency of the use of the taxonomy has doubled. Thus far, the taxonomy in Cell Press papers has applied only to authors. Other contributors are mentioned in Acknowledgments sections. 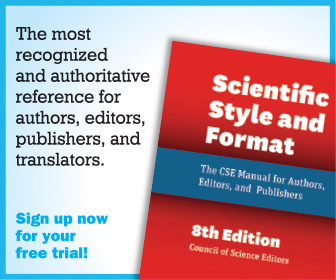 In terms of workflow, we needed to make sure that everyone on the Cell Press side—editors, journal associates, copyeditors, suppliers—was familiar with the existence of the taxonomy and was prepared to see Author Contributions sections that differ in format. Some would continue to take the standard, prose-based, descriptive approach, whereas those that use the CRediT approach would include author initials and the taxonomy terms. 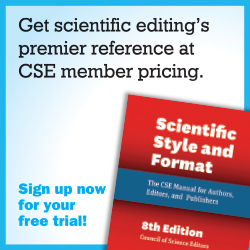 We have a great team of copyeditors, most of them in-house, who place a lot of pride in copyediting these scientific manuscripts. We take care to ensure consistency, house style, and correct grammar and spelling—all while being extremely careful not to make any changes that could alter the meaning or voice of the author. We had to prepare the team that there could be two very different Author Contributions sections: one with the standard elements of a prose paragraph, the other with a list of terms and author initials. Because we check manuscripts carefully at various stages of the post-acceptance process, we needed to make sure that everybody—from the scientific editors handling the papers to the copyeditors and proofreaders—was familiar with the taxonomy and would not be surprised to see it in a paper. In this respect, internal communication was just as important as external communication. And implementation went much more smoothly than anticipated. We expected lots of questions from authors and internal teams, but that didn’t happen. By and large, I’ve been surprised by the rate of adoption, and the smoothness of the process. Thus far, authors who have used the taxonomy tend to view it favorably. To my surprise and relief, they generally report that the taxonomy is easy to use. This is really important to recognize. The publication of a research paper is often the culmination of years of work. As a publisher, we strive to make the journey as smooth as possible for our authors. Thus, whenever we introduce a change or a new step, whether big or small, we consider the potential impact on our authors. In this case, what we are hearing so far is that authors who use the taxonomy find it easy to apply, clear to understand, and important in its standardization of contributor roles. We conducted a survey of the first 100 authors who used the taxonomy at Cell Press, and I’ve discussed the results of the survey on the CrossTalk blog. Not many! Throughout the course of the pilot we did encounter some questions: Should the taxonomy terms be written with capital letters or lowercase? Should we ask for clarification from authors who use the term “Writing” rather than the two options laid out in the taxonomy, “Writing – Original Draft” and “Writing – Review & Editing”? Should we allow prose descriptions in addition to taxonomy terms? For all of these cases, we decided to defer to what authors provide. And our reasoning was simple: this is a pilot, and we are keen to observe—rather than to stipulate—how the taxonomy is put to use. Talk to authors, talk to readers, talk to funding agencies, talk to tenure committees—talk to anyone invested in the complex systems that swirl around credit, funding, and career development. Most would agree that we need to change the ecosystem; how to do so is another matter, but this taxonomy is a clear step in the right direction. Update: Portions of this interview have been previously posted on Aries Systems’ website. As of the time of this publication, the CRediT taxonomy is fully functional and available in Editorial Manager (see video). The CRediT Steering Committee wants to hear from users about any terms that should be added to the taxonomy. Run this report and send your list of “other” entries to the CASRAI staff to help shape the future of contributor recognition! Alison O’Connell (orcid.org/0000-0002-9032-3983) is marketing manager at Aries Systems Corporation. Gabriel Harp is senior product manager at Cell Press.